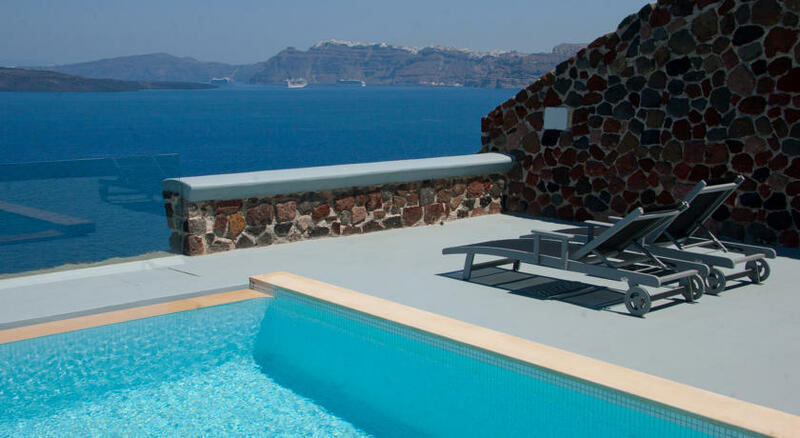 Ambassador Santorini, an enclave of luxury and romance in Akrotiri, one of Santorini\'s least exploited areas, is located just a few minutes from the famous ancient settlement that attracts thousands of visitors every year. 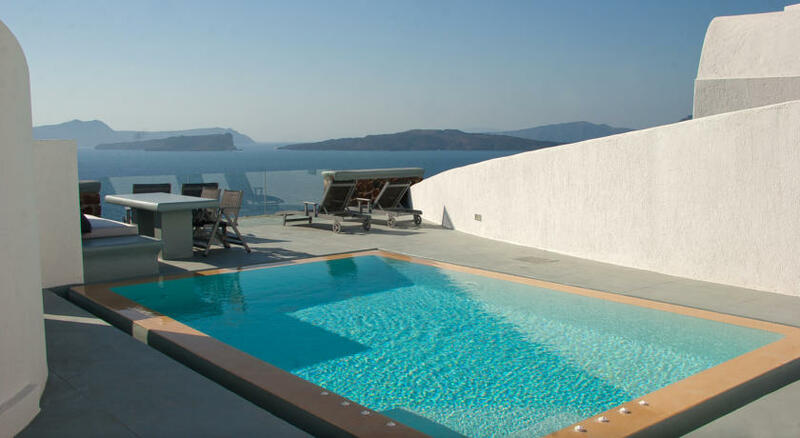 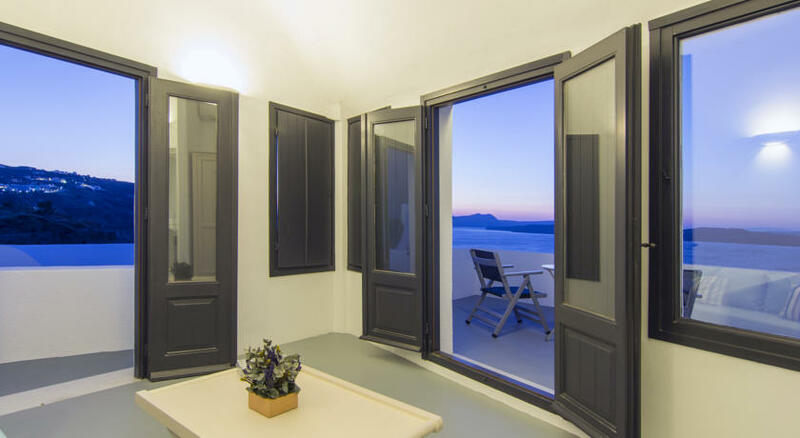 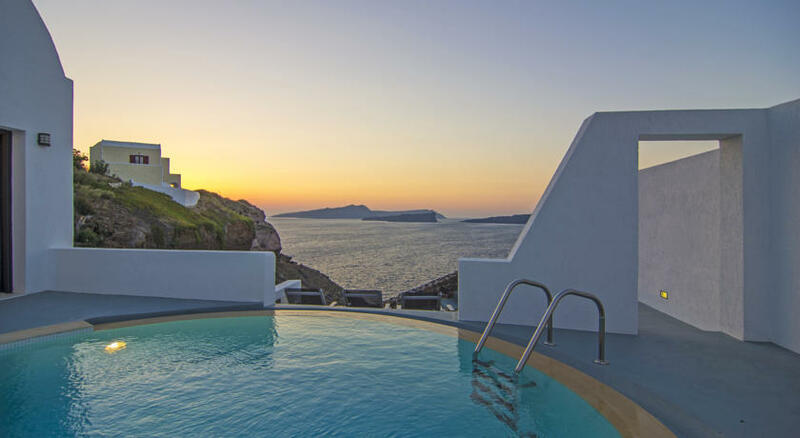 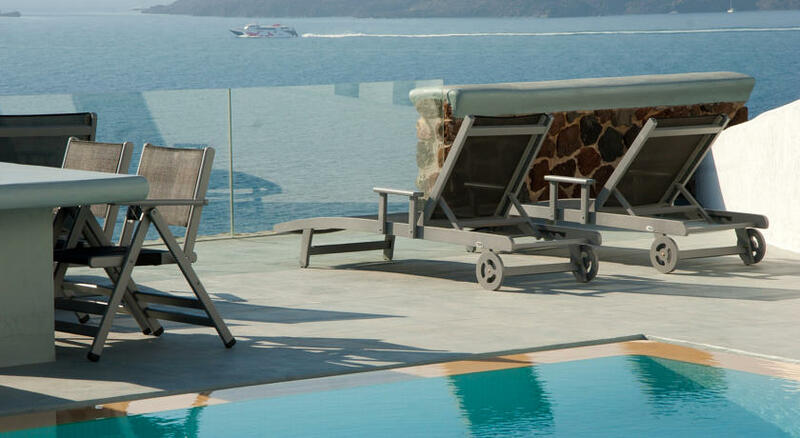 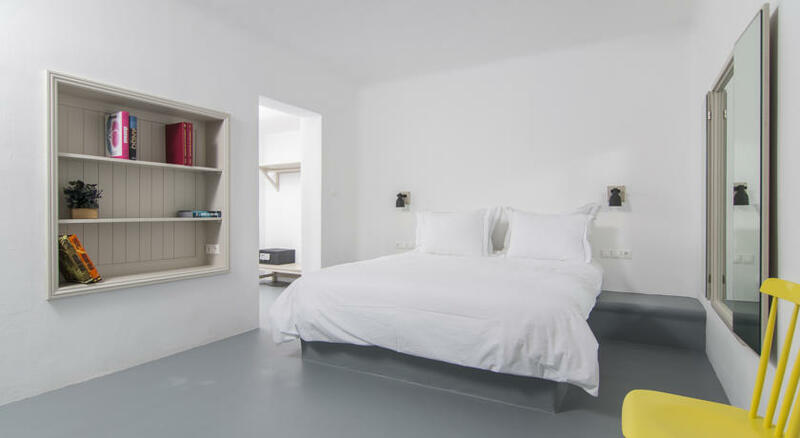 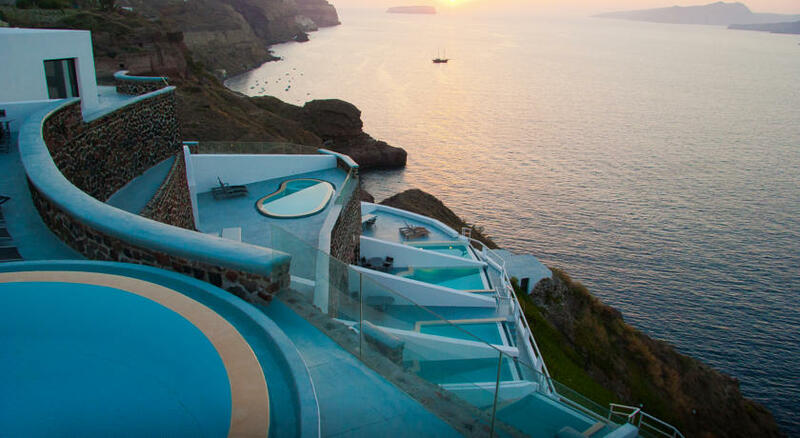 The stunning location is just the prelude to what can be summarized as the ultimate Santorini escape: a cool haven of barefoot luxury and pleasure that consists of breathtaking vistas, exciting architecture, sophisticated interiors and impeccable service. 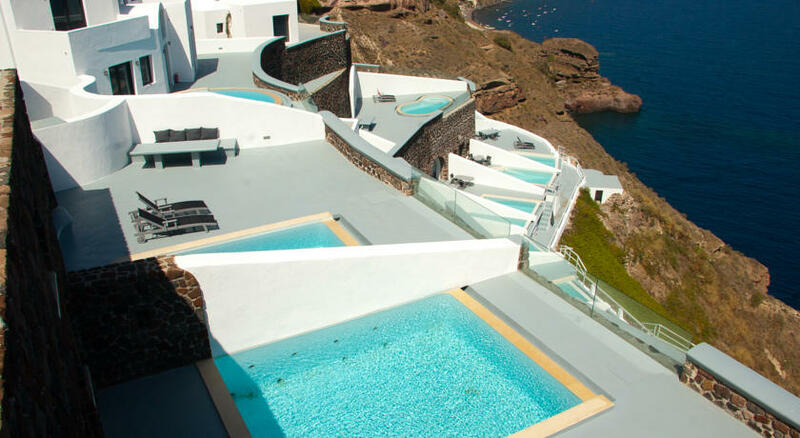 Each of the hotel\'s 40 vaulted rooms, suites and villas boasts ample spaces, a private pool and will enthrall guests with front row seats to the island\'s world famous sunsets, as well as great panoramic views of the caldera, with villages comprised of traditional white cube houses scattered along the cliff\'s edge. 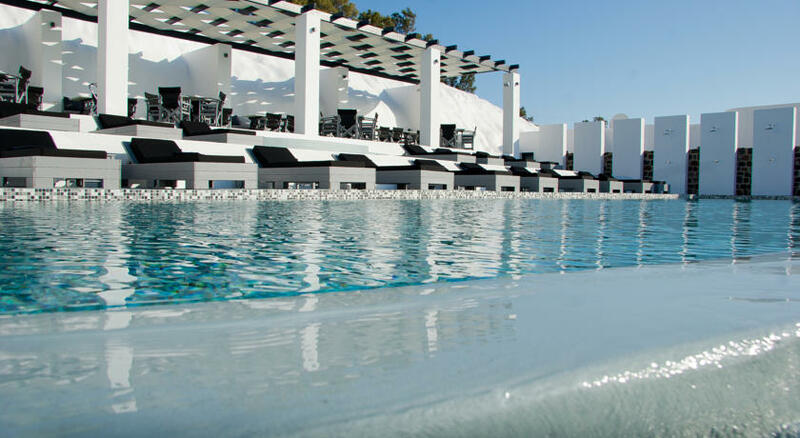 Guests may unwind and enjoy invigorating therapies at the hotel\'s sensational spa, explore the gastronomic wealth of the island\'s local cuisine at the resort restaurant or spend unique moments of total bliss marveling at the sunset and sipping on refreshing cocktails at the elegant pool bar. 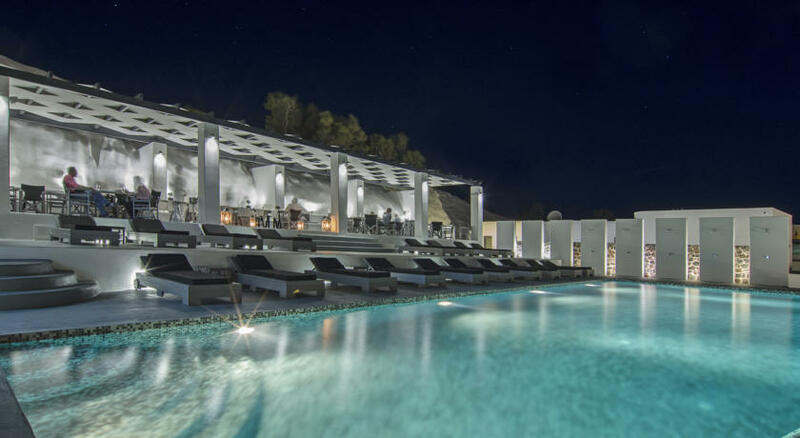 The Ambassador experience is enhanced through exclusive signature details that transcend the expectations of even the most discerning guests, such as the private helipad or the electric cars available for guests who wish to move around the property effortlessly. 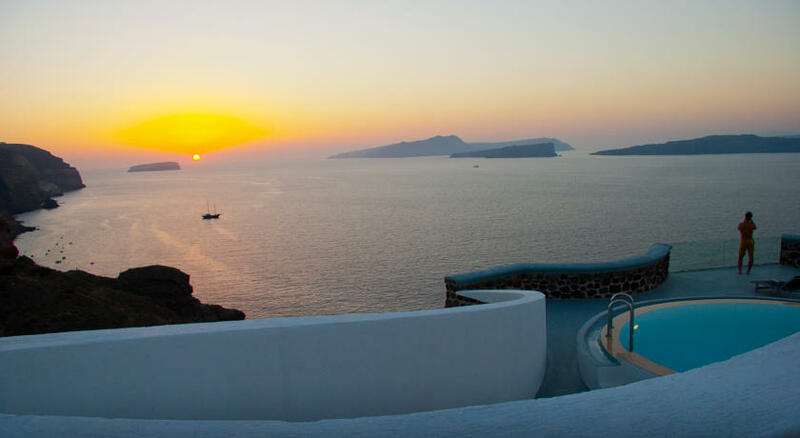 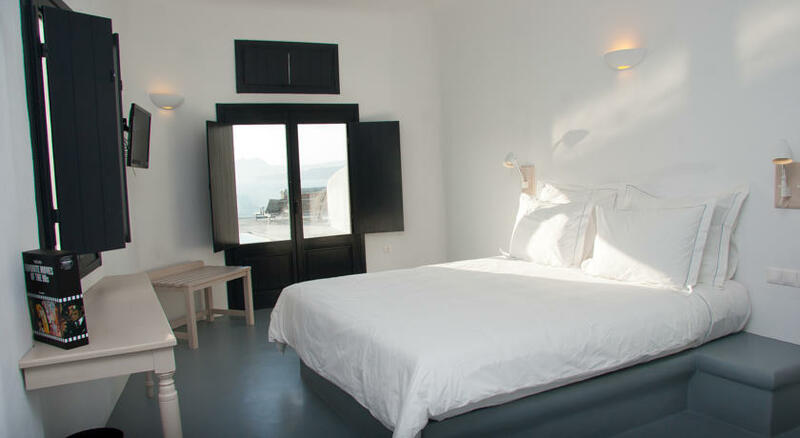 Stay with us and explore Santorini\'s mystifying soul from a vantage point! 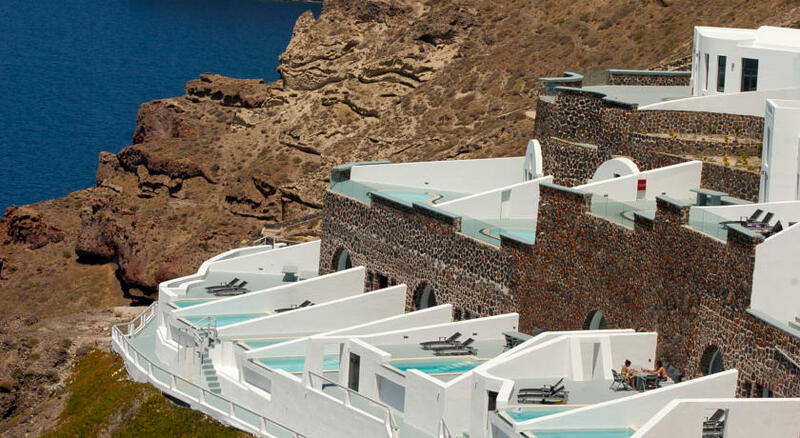 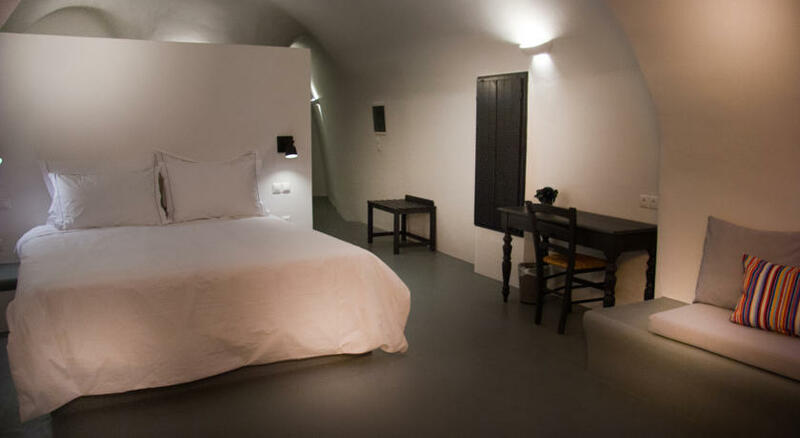 The frugal white washed interiors boasting vaulted ceilings and rough hewn stone beds are complemented with a spa, private pool and unsurpassed sea views.